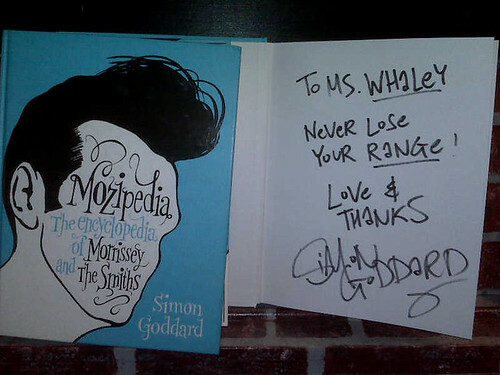 I have just received a wonderful gift in the mail from Simon Goddard: his new book, the amazing Mozipedia ! It's set to be released in the United States September 28, and I highly recommend getting a copy for your very own. Simon is truly one of rock and roll's greatest detectives. He is so very passionate about Morrissey and the Smiths and his dedication shows. I have been using the UK edition Mozipedia as source of inspiration for many of my Smiths covers. I find this book to be endlessly fascinating and helpful. Click the picture to go to Amazon.com. Buy it!